Can you believe it? 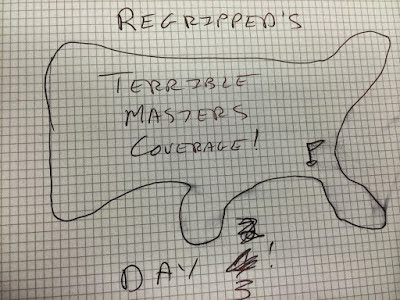 It has been 5 years since I started this cockamamie live blog writing about all things Masters, schwag, players headed for the glue factory among many other musings. Join me won't you for Day 3 of this rambling coverage? 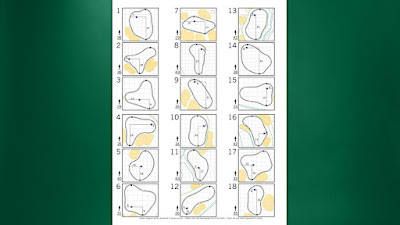 3:45pm: So where are we as the Masters is over with for the day? P Reed is the leader of the golf tournament (I hated the streaming coverage stating "Patrick Reed is OUR leader"). Rory has the best shot to take him down although several others are lurking. For me, I am on Knox watch when he comes through Amen Corner tomorrow and then I will see how the tourney shapes up around that. Have a good night everyone! 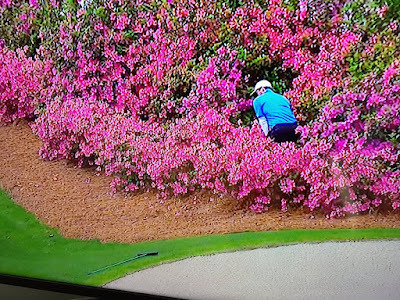 3:25pm: One of my favorite shots from Rory's round today. ANGC may be manufactured beauty but it is beautiful all the same. 3:08pm: No matter how terrible Jordan is playing, he seems to be a perpetual Top 10 machine here at ANGC. By sticking with the featured group coverage, I have been getting an eyeful of Jordan and he seems to be the same player as he always was, just isn't getting the bounces he used to. Is it the flat stick? Not necessarily. I think the Golf Gods are saying it just isn't his year. 1:50pm: Jordan just cash in on his ball striking. He outdrove DJ on a hole, hit it close on 12 and came away with only pars. Meanwhile, Fleetwood went absolutely bananas and went from Even to -7 over the course of a round. Rory is also having a banner day. Then there is P Reed. With all the great storylines in the Masters this year, what if he won? I might just hunker down and watch the featured groups for the next few days while I contemplate that terrible notion. 12:35pm: Most people didn’t give Rahm a chance. He is a top 5 player with a terrible record in the majors and doesn’t have a natural shot shape to maximize ANGC curves but yet here we are with Rahm challenging for the lead. He has the game to win anywhere, can he win here? 11:35am: We have now descended into Langer impressions on the 15-16 hole coverage. Ok, going to take a break to do some errands but will be back soon for the afternoon wave of the leaders! 11:00am: It is interesting seeing Poulter and Tiger play together. They were both some of the most intense competitors over the last decade but I would say age has mellowed them a bit. You can't just be that intense forever and I am glad that they aren't killing each other. 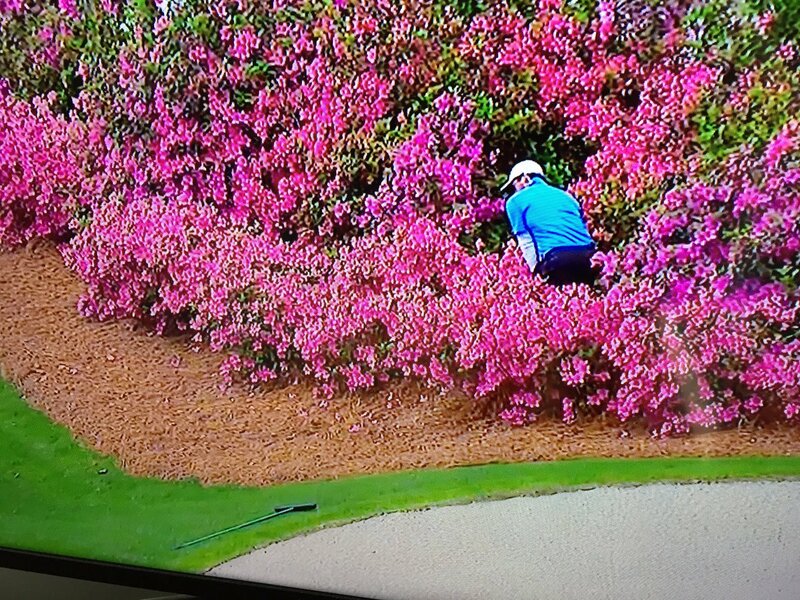 Also, triple bonus points for the commentators on the 15-16 hole coverage. These guys' announcer games are tight! 10:20am: It seems that the greens are much softer than the last few days so golfers can really go after the pins. We might see some really low scores in the afternoon, all depends on what the weather does over the next few hours. Showers are currently slated from 2-5 EST today so we will see. 9:45am: Paul Casey vs. Jeff Knox through Amen Corner. Jeff took the early lead with a birdie on 11 and then they halved 12 both with pars. 13th was unclear what happened. Casey got a birdie but Knox, who knows? Assuming he got a par we will call the Corner a wash, which is MIGHTY impressive for an amateur going up against a pro in a tourney setting. 9:05am: Lefty grabs eagle after hitting driver off the deck which I am sure is sending No Laying Up into a fit of ecstasy. The great thing about watching golfers with nothing to play for is that they will try things they might not normally try if they were in contention. Forget caution, you are playing ANGC go for it, whatever "it" is. Early rounds can be fun rounds is what I am saying. 8:40am: I know most tournaments have larger fields than the Masters but there is something nice about watching a twosome navigate the course. I'm not sure if the players actually play any faster but the possibility is certainly there for them to do so. It is like watching overtime hockey during the regular season where they go from 5 players per team on the ice to 3. It makes a difference. 8:05am: Does anyone have an update on how Knox is fairing against Casey? With the early morning groups all way over par (Lefty currently +9) only Knox is fueling my interest at the moment. Golf Digest seems to be sensing this and reposted their excellent article from last year's Masters. 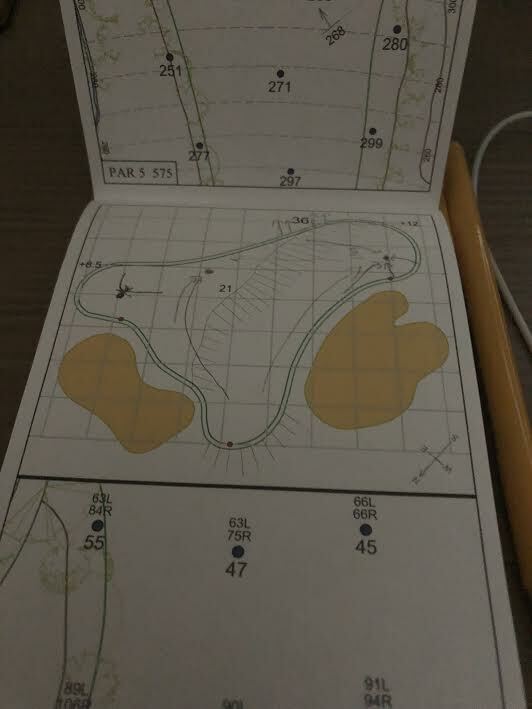 7:45am: As the players get fired up for moving day, I am firing up my coveted ANGC yardage book. I have been making notes in it ever since I acquired it and one day, who knows, maybe I could actually use it as I play this course (stranger things have happened!). 7:30am: It looks wet, wet, wet there at ol ANGC. Phil rocks the two gloves and promptly send a ball way right. In more exciting news, Jeff Knox is on the course! Playing with Paul Casey in the most interesting match play in tournament golf, can Knox beat Casey? I think we are all crossing his fingers that he does. 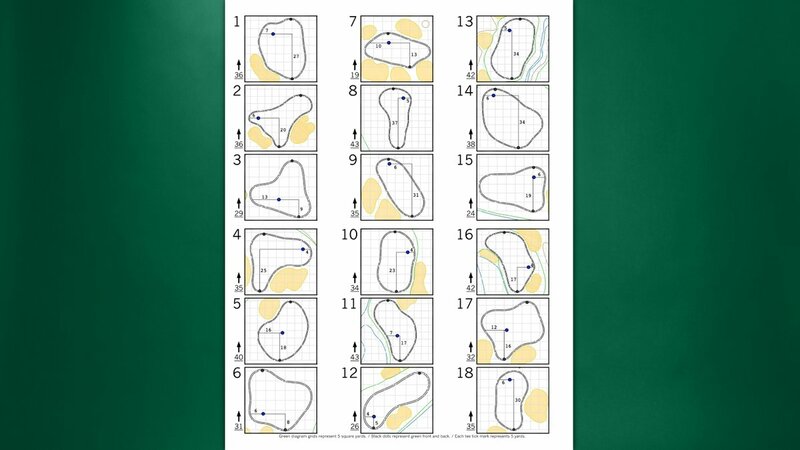 Finally here are the pin locations for today, enjoy the third round everyone!